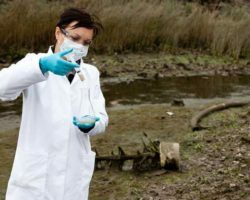 Environmental specialists and scientists use their knowledge of the natural sciences to protect the environment and human health. They may clean up polluted areas, advise policymakers, or work with industry to reduce waste. 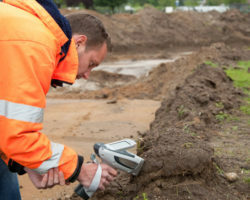 As an environmental specialist, you will learn techniques that will allow you to help preserve the overall heath of your community and environment. The demand for environmental specialists grows as the need for green alternative professions becomes greater. 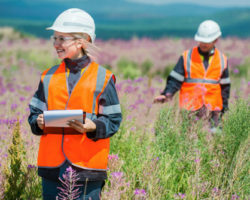 In environmental management systems, environmental compliance specialists protect and preserve the well-being of the environment and human health. The broad field of contemporary environmental problems faced by the nation include drinking and surface water quality, solid and hazardous waste storage and disposal, indoor and outdoor air quality, radiological health, occupational health, systems ecology (interrelationship of organisms and their environments), and housing hygiene. Employment of environmental specialists is projected to grow 11 percent from 2014 to 2024, faster than the average for all occupations. 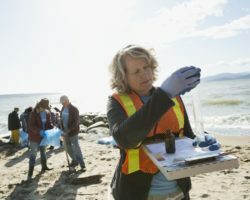 Heightened public interest in the hazards facing the environment, as well as the increasing demands placed on the environment by population growth, is expected to spur demand for environmental scientists and specialists. The Certified Environmental Specialist course has been designed for environmental professionals who want to maximize their environmental compliance and ensure public safety in the workplace. This course covers over 24 hours of EPA regulation including the Clean Air Act (CAA), Clean Water Act (CWA), SPCC, RCBA, EPCRA, TSCA, CERCLA and environmental compliance planning and expectations. Upon completion of this course students will receive a certificate certifying them as a Certified Environmental Specialist. This course provides essential knowledge and understanding of EPA regulations relating to hazardous wastes such as the Clean Air Act (CAA), Clean Water Act (CWA), SPCC Rule, RCRA, EPCRA, TSCA, and CERCLA. Newly updated! Fully interactive training written by industry experts! environmental management, environmental technicians, environmental marketing, environmental health, environmental landscaping, wastewater, surface and drinking water resources, food protection, or similar fields. Marie Athey is the subject matter expert for 360training.com. Marie’s background in EHS spans 15 years and multiple industries. You may contact Marie at oshatrainer@360training.com. All module quizzes require a score of 70% to proceed forward in the course. The exam will test your knowledge on information covered throughout the course. You must make a score of at least 70% to pass this course. You will be given up to three opportunities to pass each quiz and the final exam. If you do not pass after three tries, you will be locked out of this course will no longer be able to take your Outreach training in an online format. Upon successful completion of the course, you will receive a printable certificate of completion which is accepted by OSHA as documentation of training. 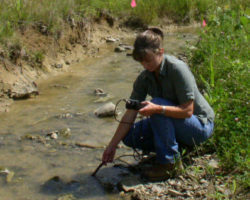 Environmental compliance specialists at the technician level collect and analyze hazardous samples, record information, prepare reports, maintain monitoring equipment, inspect facilities such as restaurants and swimming pools for cleanliness and safety, and provide supportive services to environmental engineers and scientific professionals. 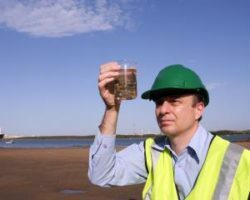 Environmental compliance specialists at the professional level act as consultants, investigators, and evaluators for environmental health and safety issues. They base decisions on concrete evidence gathered under strict standards. O*NET – The O*NET program is the nation’s primary source of occupational information. Courses meet Federal and State training requirements and provides compliance with EPA regulations including the Clean Air Act (CAA), Clean Water Act (CWA), SPCC, RCBA, EPCRA, TSCA, CERCLA and environmental compliance planning. Search the knowledge base, submit a support ticket, troubleshoot issues, recover passwords, chat, e-mail or call the customer support desk. We look forward to helping you. Find support for any course – click here. Key OSHA Terms: Certified environmental specialist,epa scientist, epa certification,environmental scientist,ces training,professional environmental certification, environmental scientist,environmental inspector, environmental auditor,environmental assessor,professional certification,lowest price.